I was a Jehovah's Witness for eight years. Disassociated. (That means I left on my own free-will.) The movie is very well made and 100% accurate with the terminology and procedures used by Jehovah's Witnesses. 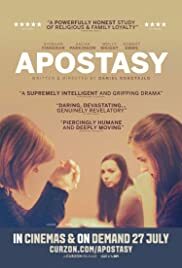 It does not sugar coat the issues between the Watchtower Organization's brutal policy of shunning disfellowshipped family members, nor does it even resolve the issues or comforts the viewer. The movie simply gives us the hard truth of the impact caused by extreme religious indoctrination. One can only watch this and reflect on their own experience.